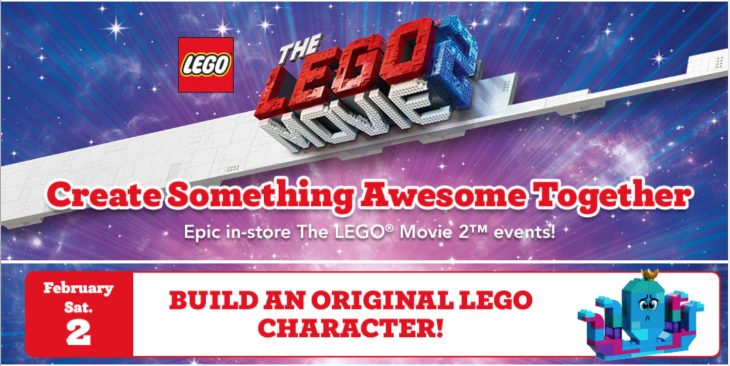 February 2, 2019, 11:00 a.m. – 1:00 p.m.: Build an Original LEGO Character! Use bricks to build your own original LEGO character and take it home! Recommended for kids ages 4 and up. Newmarket, ON: 10:00a.m. – 12:00p.m. Mississauga, ON: 2:00p.m. – 4:00p.m.